Norbert Dentressangle is providing fast-growing brewer, St Austell Brewery with a distribution platform in Avonmouth, supporting the company’s continued expansion beyond its Cornwall and West Country heartland. One of Cornwall’s largest employers and the South West’s most successful brewer, wholesaler and licensed retailer, St Austell Brewery produces award-winning cask and bottled ales at its brewery in St Austell which are available in pubs, bars and supermarkets throughout Cornwall, the West Country and increasingly across much of the UK. The brewery’s best known real ales include Tribute, Proper Job, HSD and Trelawny. Under the new agreement, Norbert Dentressangle will provide high quality warehouse space within an existing customer site in Avonmouth, providing a strategically located cross-dock facility to support the distribution of St Austell products to customers throughout the UK. Norbert Dentressangle will be trunking products on behalf of St Austell from Cornwall to the new hub in Avonmouth. St Austell Brewery’s own regional delivery vehicles, also based at the hub in Avonmouth, will provide the onward distribution to their clients in the region. 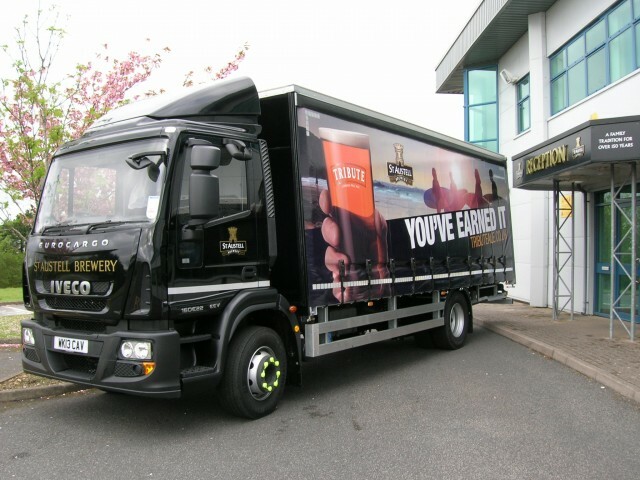 From Avonmouth, product for national distribution will be moved into other major distribution depots and networks in the Midlands and London areas for delivery by some of Norbert Dentressangle’s other operations including Carlsberg. Norbert Dentressangle has specialist expertise in the provision of solutions which allow regional customers to pursue national growth opportunities. In addition to St Austell Breweries, other customers include Black Sheep Breweries and Stirling-based Maxxium.